Knossos - Knossos was the cultural center of Minoan civilization on the island of Crete and was virtually wiped out by the Thera eruption. The Minoans were a somewhat mysterious people who did not originate from mainland Europe and likely migrated from the Levant. 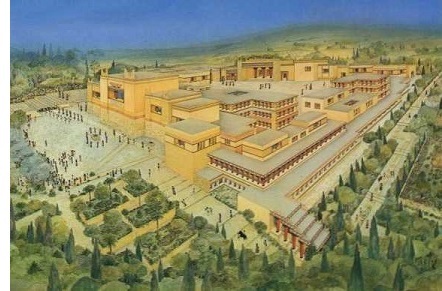 The most famous location in Knossos was the palace of King Minos, a semi-mythological monarch whose castle contained a huge labyrinth in which lived the powerful minotaur. The Athenians considered Minos a cruel tyrant who would kidnap their children and throw them into the labyrinth to be devoured by the minotaur.